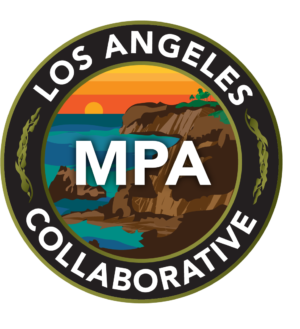 The Los Angeles MPA Collaborative channels broad and diverse perspectives to build ocean resilience and promote the cultural, recreational, and ecological value of Los Angeles County’s marine protected areas. To better serve LA’s culturally and ethnically diverse communities with specialized information on marine protected areas, the LA Collaborative is working to develop a strategies for working with community-based groups on MPA outreach. MPA Fishing Guide: The LA Collaborative developed a bilingual (Spanish/English) fishing guide. The guide can be found throughout LA County in select locations including tackle shops, tourism and interpretive centers. MPA Speakers Bureau: Develop a MPA speakers’ training program and provide presentations to target groups that would benefit from greater MPA awareness and understanding. Working in collaboration and funding from the Catalina MPA Collaborative. MPA Fishing Guide Update and Re-print: Update and print LA MPA Fishing Guide brochure and new poster including English and Spanish versions. City of Malibu – Environmental Sustainability Dept.